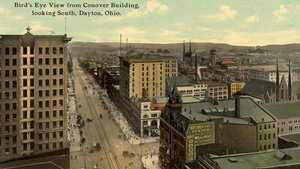 By the 1890s, Dayton, Ohio, was emerging as a typical city in an increasingly industrialized America. It boasted a growing manufacturing economy; modern municipal improvements, such as paved streets, electric lighting, streetcars, and a telephone system; and surging population growth. 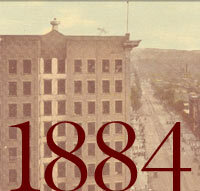 By its centennial in 1896, Dayton was experiencing unprecedented expansion and economic strength. Its population had reached 80,000. With a thousand factories, machine shops, and foundries, it had become a national center for the production of farm implements, bicycles, metal castings, and railroad cars. Dayton was also home of the National Cash Register Company, a major force behind the city’s prosperity. Dayton’s emergence as a center of manufacturing and industry made it a place conducive to technological innovation. The Wright brothers’ own bicycle manufacturing business placed them squarely within this environment.